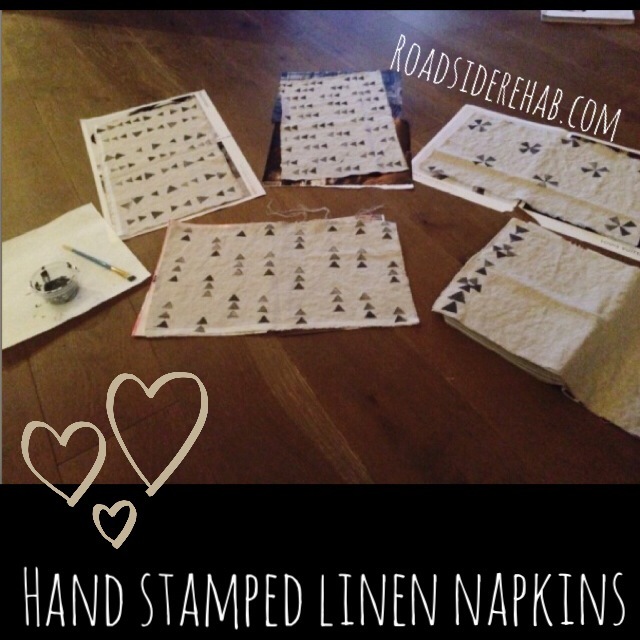 I got the idea for making hand stamped napkins because I’ve been seeing a lot of fabrics with geometric patterns lately, and everything I’ve been liking has been out of my budget. Like any good rehabber, that just means a DIY project is on the horizon. I found this article from Apartment Therapy on how to make the napkins. I got half a yard of linen from the local fabric store. Then I washed the linen to pre-shrink. After that, I got to cutting. The only difference from the tutorial is that I couldn’t get my linen to rip (it was 100% so I don’t know why) so I ended up cutting it and then just fraying the edges myself. I remembered an article about using fruit and veggie stamps from Parents magazine. 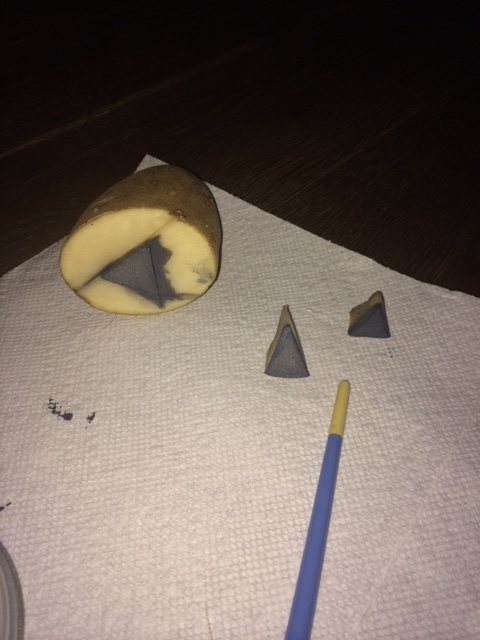 I cut a triangle out of a potato and got to working. The potato stamp with paint. I got two colors of fabric paint and mixed them to the grey that I wanted. Then painted it onto the potato for even distribution. A couple of times, I dropped the brush or the potato or moved it around a bit, so there are imperfections. I think that just adds character. 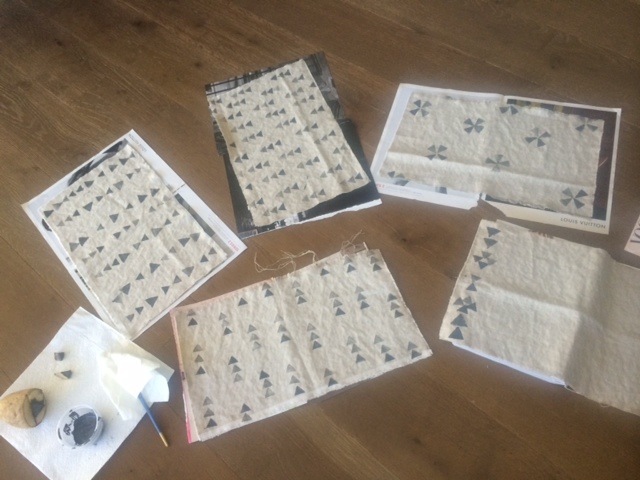 I wanted to play with the patterns and ended up making all of the napkins different. I think they ended up pretty good, don’t you? *note: be sure to put something under the fabric you are stamping. You don’t want the paint to bleed through and stain your work surface! Thank you! They were so easy! I’ve already had friends telling me they can’t wait to make their own!